The Home Secretary has reportedly also asked the Border Security Force (BSF) to explain where it got the picture. Sources say officers are scrambling to find answers. The image was taken in 2006 by Spanish photographer Javier Moyano, according to report in altnews.in. 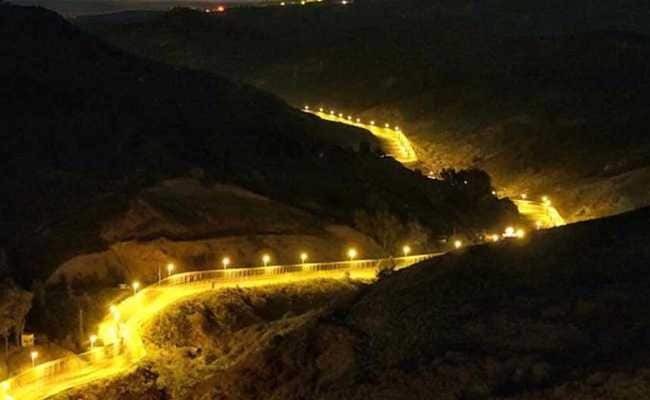 After a photo captioned in a Home Ministry report as "floodlighting along the border" turned out to be from the Spain-Morocco border, Secretary Rajiv Mehrishi has demanded an explanation from officials and said: "If it's a mistake by the ministry, we will apologise." The Home Secretary has reportedly also asked the Border Security Force to explain where it got the picture. Sources say officers are scrambling for answers, especially since the gaffe was embarrassingly easy to detect. The image of the dazzling yellow strip was taken in 2006 by Spanish photographer Javier Moyano, says a report in altnews.in. The photograph, according to the report, shows the Spanish conclaves on the north coast of Africa that have a fenced and floodlit border with Morocco. The photo was reportedly picked up by a few other sites who carried it with reports on border security and floodlighting. The government has said that 647 km of India's border with Pakistan and Bangladesh has been floodlit to prevent terrorists and immigrants from infiltrating into Indian territory. It was widely reported that the floodlighting was completed in a year. Another report also said the government has decided to replace the floodlights with LEDs in the coming years. Almost 2,000 km of the border in Jammu and Kashmir, Punjab, Rajasthan and Gujarat is floodlit.